Watch out Napa, Chile & Argentina are breathing down your $60-a-bottle neck with better wines at $20 and under. For the second installment of South American wines, we look at reds. Hang on to your hats, folks, there are a lot. Bottom line here is that there are some exceptional wines to be found in the $15-20 range that can hold their own against California wines double and triple the cost. 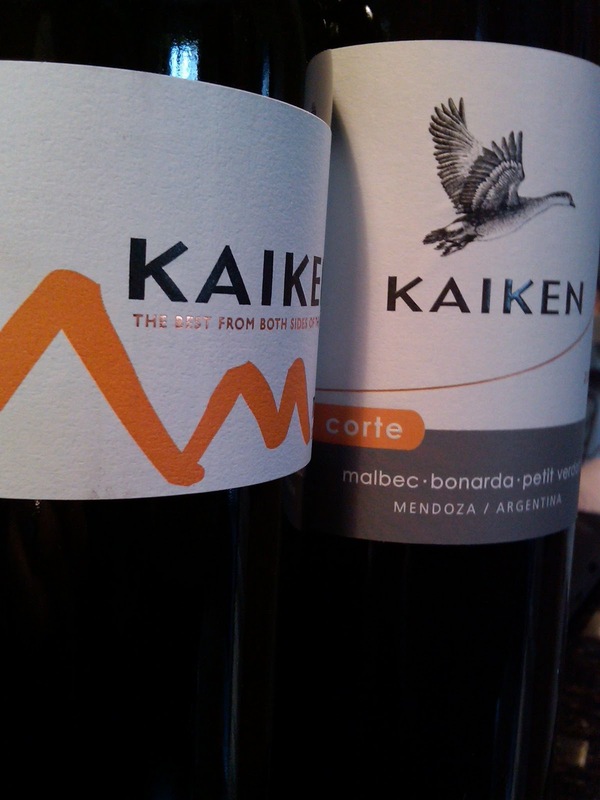 There is also a Chilean sweet spot in the $12-15 range, with Merlots and Carmeneres making a strong showing. However, there are huge swings between vintages as the Montes Alpha Syrah reviews demonstrate. Pyrazines? WTF are pyrazines? Check out the comments section below. Easy rule of thumb for the reds: Seek out the blends from Tikal. Other names to look for are Susana Balbo and her husband Ben Marco (especially the Cab), also from Mendoza. Santa Ema's Merlot from Chile, too. Carmenere is very underrated - some fun bargain drinking to be had in this grape. But beware of the often astringent 100% Malbecs. Full disclosure: most of these wines were received as press samples. Apologies to Winebow and Tilia - the Bonarda was accidentally blended with another wine while decanting before we could review it. Embarrassing! Polished, full bodied and dense, it manages to be open and accessible from the cork pull. It's almost Australian in its structure and fruit, but without the massive, flabby saddlebags that many southern hemisphere wines at this price point have. It's got some sophistication, to be sure, but doesn't ask to be analyzed. Easy to love at first sip, decanted or not. Tannins are in check, but tell you that this one can go some distance in the bottle - 5 plus years, probably. If red meat is on your menu, fire it up with this bad girl. 4/5 Also tasted the 2008 - see review below. Great question. Pyrazine is an aromatic organic compound. The chemistry is boring (confusing) for an idiot like me, but the bottom line is that pyrazines are what lend some red wines (especially Chilean) a distinct green pepper/vegetable quality. Generally speaking, wine drinkers in the US market seek out full, lush, deep fruit flavors in their reds, so this greenish tinge is often off-putting. But here's the thing: these are naturally occurring flavors in many red varieties, most particularly Cabernet. And, yes, even in California. We just don't experience them that much due to winegrowing/making practices here.